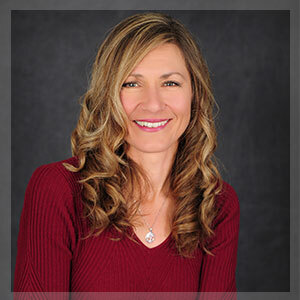 With over 25 years experience working as a REALTOR®, Cynthia has a deep understanding of the industry and has been the recipient of many prestigious awards. More importantly, her experience and her personal approach have helped hundreds of families achieve the right real estate match for their lifestyle and she would be happy to help you too! Chestnut Park Real Estate Limited, Brokerage was founded in 1990 by Catherine Deluce. Catherine’s extensive background in real estate and her passion to build a leading brokerage has produced a brand known for professionalism, quality, and excellence in service. She was joined shortly afterwards by Chris Kapches who brought a background in law, real estate, and business to the partnership. Chris is currently the President and CEO of Chestnut Park. Their commitment to clients and their leadership of agents formed the foundation of our four pillars of success: trust, integrity, knowledge, and discretion. The first office was opened in Toronto, Canada with 5 real estate agents. In just over two decades, Chestnut Park’s sales team has grown from 5 to over 300 agents with offices in Toronto, Muskoka, Collingwood, Grey Bruce, and Prince Edward County. In 2011, our affiliation with Christies International Real Estate was formed, elevating the Chestnut Park brand to the forefront of Ontario’s luxury market. Through our exclusive partnership with CIRE, we provide clients with unparalleled access to the global real estate market, connecting buyers and sellers throughout the world.